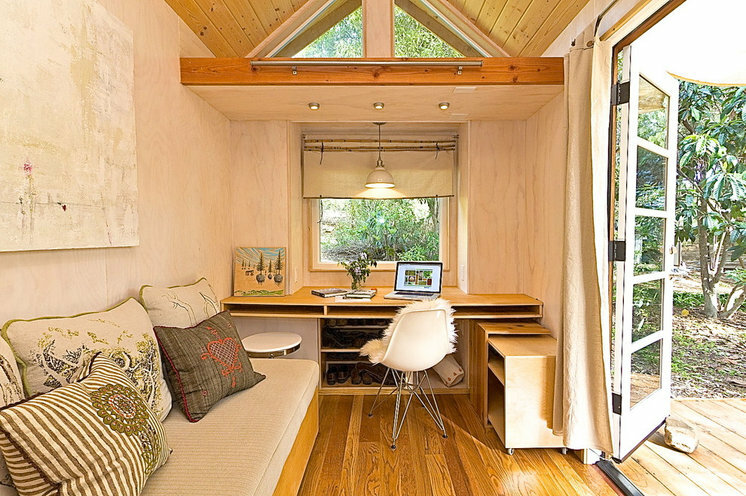 When we profiled designer Vina Lustado’s tiny house in a recent article, the response was swift. 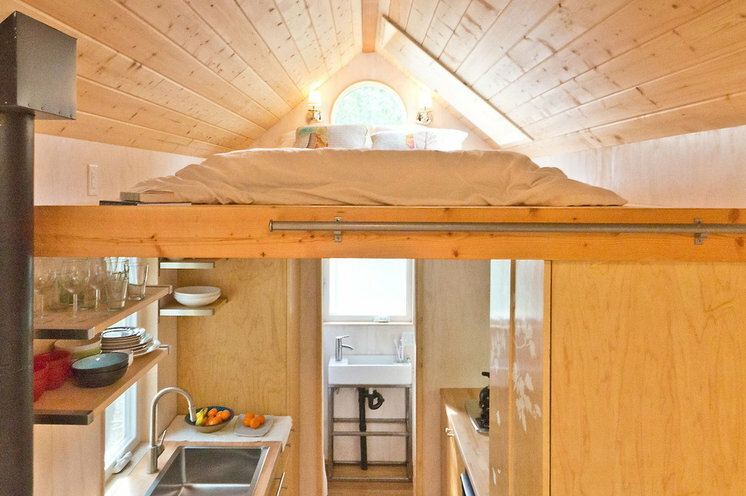 Hundreds of readers left comments, mostly praising Lustado on her efficient 140-square-foot home that she built for $40,000. Now watch Lustado give a personal tour of her house and see how she lives in the compact space. 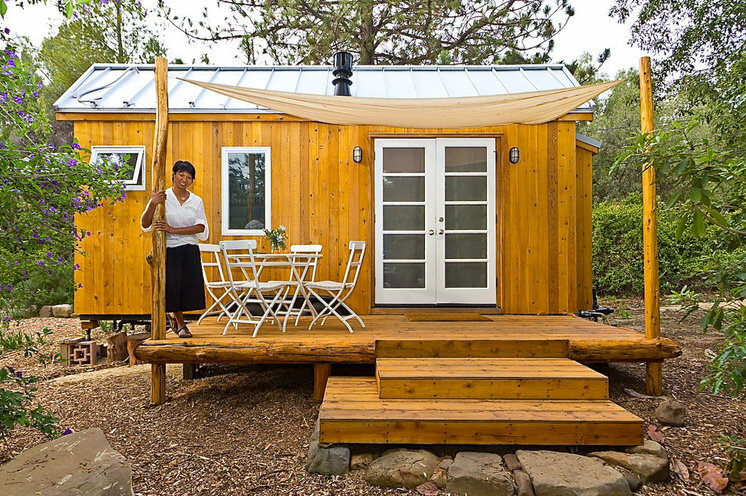 Here Lustado stands on the porch of her home on wheels, which sits on a 1-acre lot in Ojai, California. Inside, the sofa has storage underneath its hemp and flax cushion. A storage piece on casters can be rolled over to the sofa to act as a dining table. Lustado sleeps in a loft that has a large skylight so she can see the stars at night. Below is her kitchen, which has an extra-deep sink, a small refrigerator and lots of natural light.